Taxpayer-funded college professors and researchers who cite climate change to advocate regulations that would raise energy costs for consumers have some explaining to do, congressional investigators say. A House committee wants to know more about the relationship between taxpayer money received by the academics and their urging of President Obama to use federal racketeering law to go after businesses and other groups that oppose his aggressive agenda against climate change. The panel’s investigators also are curious to hear a George Mason University environmentalist, leader of the publicly supported researchers, explain a growing disparity between computer models showing global warming and fresh scientific evidence suggesting that Earth’s temperatures have been flat for 18 years. 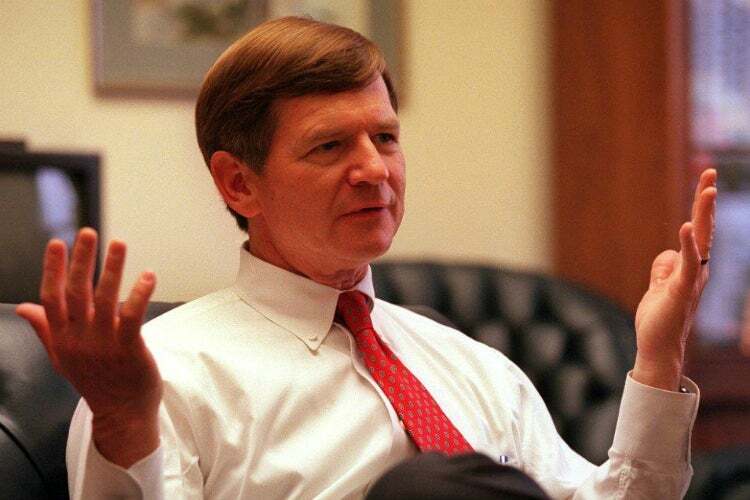 Rep. Lamar Smith, R-Texas, chairman of the Committee on Science, Space and Technology, cites “serious concerns” in a stern letter to Jagadish Shukla, a professor at George Mason University who specializes in atmospheric, oceanic, and earth studies. In a follow-up letter dated Oct. 19, Smith asks Shukla for financial documents as part of the congressional investigation. Smith is correct to be curious about an apparent conflict of interest, free-market energy policy analysts and scientific skeptics who question the validity of climate models told The Daily Signal in interviews. “As evidence mounts that the dire predictions of catastrophic global warming are not confirmed by climatological observations, the alarmist camp has had to resort to witch hunts,” said Bonner Cohen, senior fellow at the National Center for Public Policy Research. It turns out Shukla reaped tens of millions in climate-related grants from U.S. taxpayers in addition to his university salary. Shukla, 71, is the founder and president of the Rockville, Md.-based Institute of Global Environment and Society, a nonprofit that received $63 million in taxpayer funds since 2001, according to financial data compiled by the Washington Free Beacon. A copy of Shukla’s letter to Obama has been taken down from the institute’s Web site. The $63 million accounts for over 98 percent of his environmental institute’s revenue in that time. 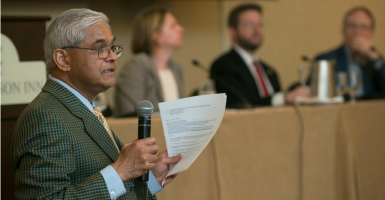 By double-dipping between his university salary and his nonprofit, critics say, Shukla appears to have violated George Mason University’s conflict of interest stipulations and rules that federal grant recipients who work for universities are expected to observe. Steve McIntyre, a statistician noted for challenging the data and methodology used in United Nations climate reports, writes the Climate Audit blog. McIntyre offers a detailed analysis of Shukla’s compensation and how it squares with university and government policies. 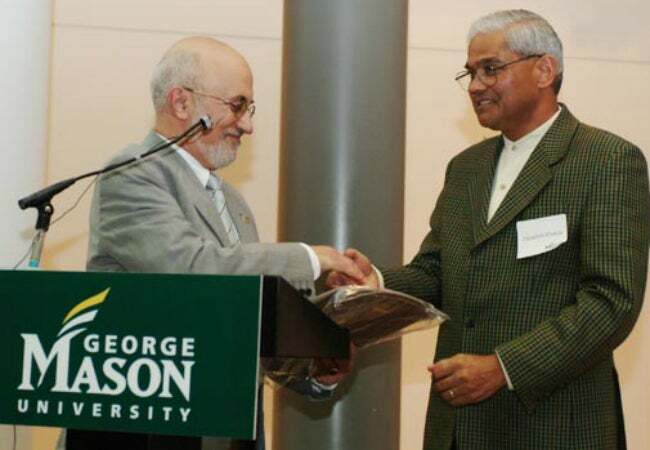 The India-born Shukla, who joined George Mason’s faculty in 1993, made a university salary of $314,000 by 2014, according to Climate Audit. 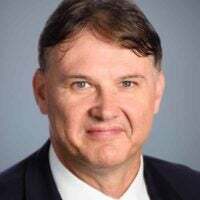 Shukla and his wife, Anastasia or Anne, continued to take in a substantial income from his nonprofit environmental institute, which is connected with the university’s College of Science in Fairfax, Va. Anne Shukla was listed as business manager. The couple received more than $800,000 in both 2013 and 2014 in combined income from the university salary and the environmental institute. A daughter, Sonia, was also employed by the institute, listed as both assistant business manager and assistant to Shukla. Beyond questions of nepotism and other potential conflicts of interest, congressional investigators—as well as policy analysts and scientists who differ with Shukla’s views on global warming—is the appearance that taxpayers are financing the environmentalist’s political activism. Some also argue that Shukla is in lockstep with the policy directives of Sen. Sheldon Whitehouse, D-R.I.
Shukla’s name tops a list of 20 signers of the Sept. 1 letter urging Obama, Attorney General Loretta Lynch, and John Holdren, director of the Office of Science and Technology Policy, to investigate corporations and other groups skeptical of climate change under the Racketeer Influenced and Corrupt Organizations Act. That law, known as RICO, typically is used to pursue organized crime. Also signing the so-called RICO 20’s letter were five colleagues at George Mason University and academics from the University of Washington in Seattle, Rutgers University in New Jersey, the University of Maryland, Florida State University, the University of Texas at Austin, and Columbia University. All are publicly funded universities. The academics’ request to Obama specifically embraces Whitehouse’s call for a RICO investigation of those who dispute theories, advanced through the United Nations, that human activity largely is responsible for warming during the latter half of the 20th century. In his Oct. 1 letter to Shukla, Smith directs the climate scientist to preserve all documents and electronic records going back to Jan. 1, 2009, which might be requested by Smith’s committee as it looks into the allegations of the RICO 20. The committee chairman also asks for a list of employees, interns, and other associates in that period. The Daily Signal last week asked Shukla and the five other George Mason academics for evidence that scientific skeptics had “knowingly deceived” the public about the risks of global warming. It also invited Shukla to comment on his financial relationship with the Institute of Global Environment and Society on campus, which some say violates university and government policies. Shukla and most of the others did not respond. The Daily Signal also asked a George Mason spokesman whether the university had any concerns about Shukla’s work with the environmental institute IGES and whether it was confident Shukla operated within its policies. As of publication, the university has not responded. In a phone interview, however, one George Mason professor who requested the probe of organizations that disagree on climate change said he intended to call for a RICO investigation only if hard evidence emerged that such groups knowingly were involved in an act of deception. My understanding is that there is some evidence in books and editorials that the groups and organizations mentioned in the letter may have knowingly deceived the public, and that the letter was written in response to an editorial [by Whitehouse] that said if evidence emerged that there was this deception, then the government had this option. 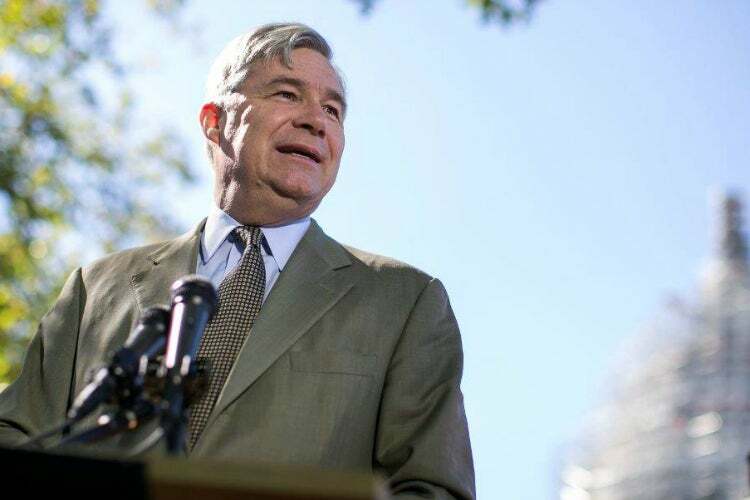 The Daily Signal also asked Whitehouse’s press office what evidence the Rhode Island senator had that climate skeptics and the fossil fuel industry were “knowingly deceiving the public,” and whether the senator had any concerns about the accuracy of the U.N.’s climate models. The recent Exxon series, the implausibility of companies that big not comprehending the overwhelming science, the enormous financial motive to mislead, and their lobbying agenda being so at odds with the established science, as well as the evidence contained in recent books about a pattern of industry schemes to distort science. Civil discovery would of course be the time-tested way to find all the evidence. Any concerns I may have about individual climate models are more than offset by the actual measurements we are already seeing of ocean and atmospheric warming, sea level rise, and acidification of the oceans. As a data set, the models appear quite accurate, notwithstanding the variations among different models. The ocean effects are very hard to deny as measurement of heat absorption, the law of thermal expansion, and the chemistry of acidification seem beyond cavil. William Happer, a Princeton University physicist, has another idea. Instead of launching RICO probes against dissenting scientists and others who raise legitimate questions about government-funded global warming research, Happer told The Daily Signal, policymakers should take a hard look at the “Lysenko cult” that held sway in the days of the Soviet Union. “There are honest climate scientists today who are trying to straighten out the contradictions between climate models and observations, just as there were honest biologists in the Soviet Union who had the courage to speak out against Lysenko’s cult,” Happer said in an email. Trofim Lysenko was a biologist who directed the Lenin All-Union Academy of Agricultural Sciences. With the support of Soviet strongman Joseph Stalin, he dictated scientific results in step with the government’s political agenda. “Lysenko’s biology was adopted as official truth by Stalin’s communist party by about 1930,” Happer said. The “falsification” and “bogus proofs” used to prop up Lysenko’s schemes is well-documented in the book “Power and Science: The History of the Destruction of Genetics in the USSR,” the Princeton physicist said. Climate science has attempted to do the same thing. In spite of a recalcitrant Mother Nature, which has refused to warm for 18 years or more, grave government pronouncements continue to claim that this month is the warmest on record [and] that the most recent storm or last winter’s record snowfall in some locale was due to global warming. Given the failure of U.N. climate models to accurately predict temperatures for almost two decades, the RICO 20 may be more vulnerable to their allegations than their intended targets, Cohen, the senior fellow at the National Center for Public Policy Research, told The Daily Signal. They have deceived the public by claiming that climate models, with their dire projections of impending disaster, constitute science when, in fact, they are nothing but mathematical exercises that can be easily manipulated to produce the desired results. When the models turn out to be inaccurate, as they invariably do, the alarmists simply produce new models projecting more warming, rising sea levels, etc. They go to extraordinary lengths to avoid the essence of scientific inquiry: testing their hypothesis against measurable climatological observations. It’s a tacit admission that they know they have no case. David Kreutzer, a senior energy policy analyst with The Heritage Foundation, expressed concern that some academics appear inclined to stifle scientific debate instead of welcoming new avenues of inquiry. In light of the “climategate” scandal that erupted in November 2009, Kreutzer told The Daily Signal, the letter from the RICO 20 could backfire. In that scandal, emails leaked from the Climate Research Unit at the University of East Anglia in Great Britain showed that researchers appeared willing to manipulate data to account for predicted catastrophic warming that didn’t materialize. To date, 2015 has been a big year for political attacks on those skeptical of climate change and what might cause it. As the Daily Signal previously reported, Whitehouse and other members of Congress sent letters to fossil fuel companies and trade groups asking if they funded scientists who questioned the validity of theories that link global warming with human activity. The letters named Willie Soon, an astrophysicist with the Harvard-Smithsonian Center for Astrophysics. In a peer-reviewed paper published in January in a scientific journal, Soon and co-authors found that computer models included in the U.N.’s Intergovernmental Panel on Climate Change were laced with mathematical errors that greatly overstated the effects of carbon dioxide on the climate. The research paper appeared in Scientific Bulletin, a bimonthly journal co-sponsored by the Chinese Academy of Sciences and the National Natural Science Foundation of China. “As evidence mounts that the dire predictions of catastrophic global warming are not confirmed by climatological observations, the alarmist camp has had to resort to witch hunts,” said Cohen, the senior fellow at the National Center for Public Policy Research. Rather than debate Willie Soon on the science, a fight they can’t win, they attack his source of funding. Ironically, the alarmists’ funding dwarfs that of the skeptics, and [their] funding comes with its own ethical baggage. It comes from highly politicized federal agencies – EPA, NOAA, NASA, the Department of Energy, etc. – that have a vested interest in keeping the scare going in order to justify their own funding levels. They are in a position to steer taxpayer dollars to researchers who are dependent on federal grants for their livelihoods, and who can be depended on to produce the results their paymasters want to see. Watchdog.org reported last week that Smith’s committee wrote NASA, NOAA, and the National Science Foundation requesting “all documents and communications” related to Shukla and his institute. Another element, Cohen said, is the “nexus” between politicians in Washington, D.C., and the green energy industry. Shukla, leader of the RICO 20, has acknowledged that there is a limit to what climate models can predict accurately. “It has long been assumed that the upper limit of weather predictably is one to two weeks,” Shukla said in a paper he co-wrote. Members of the House and Senate who cited Soon in letters to fossil fuel companies declined to respond to inquiries from The Daily Signal about the accuracy of U.N. climate models. “Willie Soon and his coauthors have pointed out how terribly the IPCC climate models are performing and offered an explanation,” Heritage’s Kreutzer said, referring to the U.N.’s Intergovernmental Panel on Climate Change. The apologists for those models have taken to unwarranted personal attacks against Dr. Soon instead of using facts and logic to defend the models’ poor performance. It is as though the little boy who cried out that the emperor had no clothes was accused of working for a tailor. It doesn’t matter. The emperor had no clothes, and the IPCC models have done a poor job predicting recent temperature trends. The Heritage Foundation has produced several studies highlighting what the think tank characterizes as the “underestimated costs” and “exaggerated benefits” of the Obama administration’s environmental agenda. Contrary to most reports in the establishment media, no scientific consensus exists on the connection between human activity and climate change, Kreutzer and other experts note. In fact, updated research identifies natural influences as the primary drivers of warming and cooling trends.